Last week saw a bittersweet day for me as I published the last Blue Phoenix book. Call it a cliche, but this series has changed my life – I finally achieved my dream to become a full-time author thanks to Blue Phoenix. So, here’s a blog post with some fun facts and backstory about the series. Thank you for reading and all your support. Today I’m saying goodbye to the band and moving on to new projects. I feel as if my new friends are leaving town and I won’t see them again! Where did you get the idea for the series from? Almost three years ago, I was half-asleep and a scene started playing out in my head. Two people were involved in a car accident on a country lane in England – a famous guy and a ‘take no nonsense’ girl both running away from their lives. I tried to push them away, but in the end I gave up, climbed out of bed and switched on my laptop. In the early hours of that morning, I wrote the beginning of a book and only stopped because I was too tired to carry on. I still have no idea where this all spilled from, but it became Summer Sky. To begin with, the unnamed famous person was going to be an actor but he decided to be a rock star. At this point, I had no idea rock star books were popular! I’d read one years ago but as I mostly wrote and read paranormal romance back then I missed this. In fact, it wasn’t until I published the book I realised the rock star is what caught people’s attention. Summer Sky was only ever going to be one book and now the sixth in the series and Dylan and Sky’s third book is available (fourth if you count Dylan’s novella). The last three years have been a rollercoaster ride with the books, the band and readers. I’m still stunned by the fact the series hit Amazon bestseller lists and has been so popular and am grateful for the people I’ve met and the opportunities I’ve had since Summer Sky released. Why are the band called Blue Phoenix? The name was chosen after researching tattoos! Because Dylan’s tattoo features in the story as a clue to Sky (that she completely missed) I wanted to find something that looked good but wasn’t already a well-known band name. I loved phoenix tattoos but the name already existed so I had play around with colours, checked out some tattoos and decided on Blue Phoenix. Fun fact: I now have a blue phoenix tattoo. A lot smaller than Dylan’s! Why did you choose the names Dylan and Sky? Why are the band members Welsh? Basically, the reason is because I chose the name Dylan and that’s a Welsh name. Then it made sense because Cornwall is in driving distance of the part of Wales the band grew up in. I once lived in Pembrokeshire, Wales (close to St Davids, actually) but only for a short time as a child. How did you choose the other band members’ names? By research into surnames and popular Welsh names. Bryn is because it’s one of my favourite Welsh names and because he’s how I picture ‘a Bryn’. Jem – I like J names and wanted something that was short for a name people might not expect him to have. Liam has a gentler feel (to me). It’s tough to remember because if I hear any of the names now I only picture the characters. Where is the cottage and town Sky and Dylan visit? The town is fictional but a mash-up of seaside towns I visited as a child in the south-west of England. I usually stayed at camping sites rather than quaint cottages, but definitely had my fair share of dips in the cold sea! My answer as always… depends on who I’m writing about at the time. None of the four match my ideal man and how could they if they all have their flaws? I love Dylan’s romantic nature, Bryn’s humour, Liam’s protective and passionate side, and Jem … I couldn’t live with a man like him but still love him. What do the band members look like in your mind? Impossible to answer, of course! Although, when I published Rising and readers’ opinions of Jem completely changed I felt a real accomplishment because I’d managed to open up a character people hated and make him the hero. Who is your favourite heroine in the book? Are any of them like you? Not really! And again, hard to say. Of course I love Sky but feel sad that sometimes her very British sarcasm is mistaken for bitchiness. Ruby was tough to write because of what she went through and so different to Sky. I love Cerys’s strength and vulnerability, and I’m happy I ‘found’ Avery to step up to the mark and match Bryn’s humour. Does Blue Phoenix sound like any of today’s bands? Did you base them on anybody? Their sound (in my mind) is a mix of a few. The band started in 2008 so I looked back at who might’ve inspired the guys as teens. They’re lovers of the classics too – Led Zeppelin especially (just ask Cerys). Jem of course likes Metallica, and Slash is an influence on him too. Liam’s a Red Hot Chili Peppers fan. Plus I hear Bryn likes Pearl Jam (just ask Jem). How did you manage to match the different character timelines? Do you have a detailed plan somewhere? How much do you like bacon sandwiches? I never thought I liked them enough to make them a character in my books! Can I buy signed paperbacks? What am I writing next? Good question! I have four different projects in mind and on the go. Keep up to date by subscribing to my newsletter here. Thanks for reading and feel free to ask any other questions in comments below! When Will The Whole Blue Phoenix Series Be Available on iBooks, Nook and Kobo? 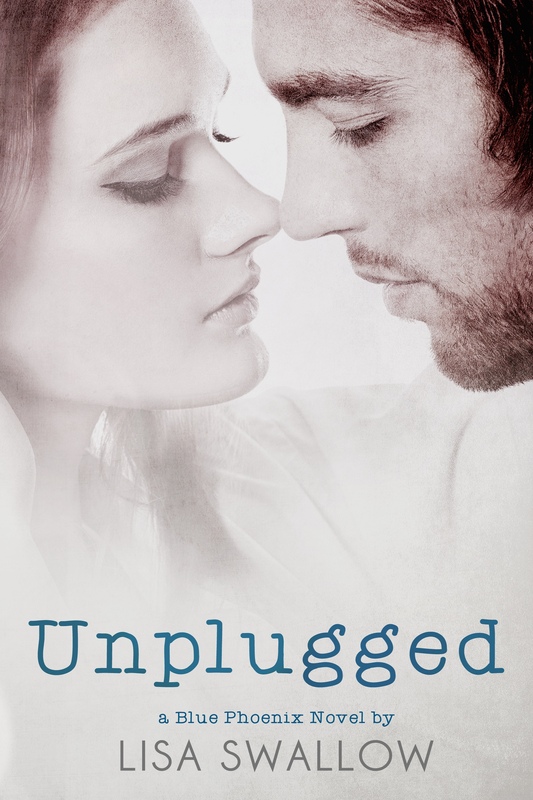 Over the last week, I’ve been asked a few times when will Unplugged, Rising and Reverb will be available on iBooks, Nook and Kobo. If I could list them on those retailers, I would do so in a heartbeat but unfortunately I can’t. I signed up to Kindle Unlimited for the Blue Phoenix series which means they’re exclusive to Amazon until October. Luckily, Falling Sky is out of the program and available now. The most up-to-date information comes via my newsletter and social media but I will definitely post here too once Liam, Jem and Bryn’s stories are available. From the bestselling Blue Phoenix rock star romance series, Forever Sky is the conclusion to Dylan and Sky’s story and the final book in the series. Sky and Dylan have found their forever, wrapped in a world away from rock star Dylan’s fame. For Sky, a future with Dylan is a life with the man who closed the book on his past for a future with her. Dylan believes in fairytale endings and his unwavering love for Sky, and he will fight anything that threatens their life together. But the world can throw curveballs that even the strongest couple would struggle to dodge. Forever Sky is a look at Dylan and Sky’s life in the months after Falling Sky, and the challenges fame and money can’t protect them from. Dylan and Sky fought to be together and now they need to fight for their happy ever after. The books contains spoilers for the other books in the series and must be read after Summer Sky and Falling Sky. Forever Sky finally has a release date and is available for pre-order. This is the Dylan and Sky book readers ask me about a lot and is the last in the Blue Phoenix series. See below for all pre-order details. This year has been one of ups and downs in my personal life and my writing schedule is a big mess. Every week I receive messages about Forever Sky asking when I plan to publish. I’m worried about giving an answer because I don’t want to disappoint people if I change the date – but feel bad that so many people are waiting and waiting. I am going to serialise Forever Sky on Wattpad, starting April 2nd. Forever Sky is partially written already. Each week, I will add a scene to the book on Wattpad of around 1000 words (sometimes more, sometimes less). This will continue until the book is finished and I will take the Wattpad version down when Forever Sky is published. As this is an ‘as is’, unedited version there will be some error and later changes but it means those waiting can follow Sky and Dylan’s journey sooner. What is Wattpad? How do I join? Anybody can join and read the stories that authors post – there are a huge number of genres and authors on the site, both new and established. As soon as I’m able to, I will also put the entire book up for pre-order on Amazon. I hope some of you will be happy with this news and follow the story. Any questions please let me know. Summer Sky is a contemporary romance where occasionally more than the bacon sizzles. This is the first in the new ‘Blue Phoenix’ series of rock star romances. Three attempts at staying clean after rehab and Jem Jones, Blue Phoenix guitarist, is determined this time he’ll succeed. Haunted by his recent past, Jem throws himself into the one addiction he still has left: his music. With Blue Phoenix on a break, he looks elsewhere for a place to channel his creativity and discovers up-and-coming band Ruby Riot. Ruby Riot brings Jem and Ruby together but they recognise they have more in common than their passion for music. Can this understanding of each other break down the carefully constructed barriers they’re trapped behind? Or is loving somebody too big a risk to take? Rising is the fourth book in the Blue Phoenix series. It can be read as a standalone but contains minor spoilers for the other books in the series.